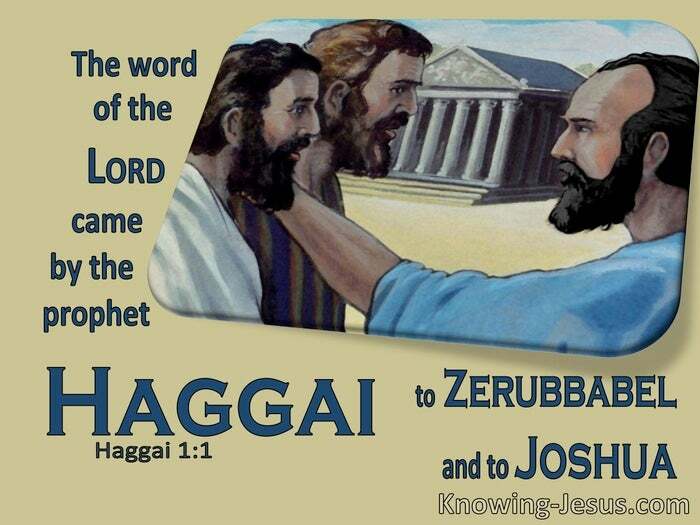 What Does Haggai 1:1 Mean? 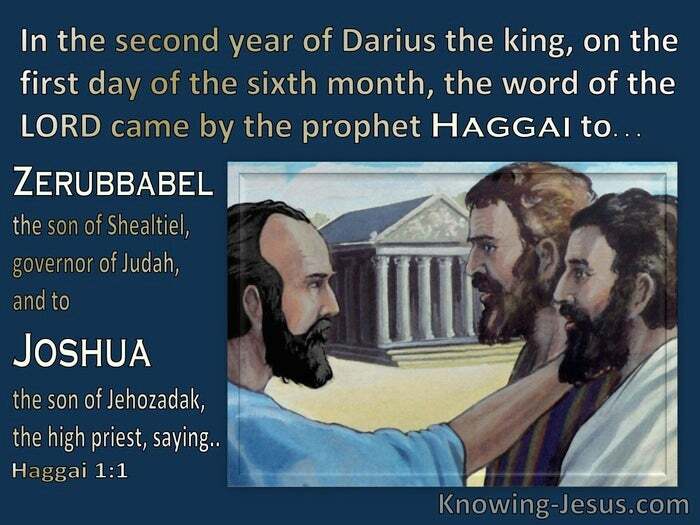 There are two severe warnings in the book of Haggai, which were given - "in the second year of Darius the king, on the first day of the sixth month - when the word of the LORD came by the prophet Haggai... to Zerubbabel the son of Shealtiel, governor of Judah, and to Joshua the son of Jehozadak, the high priest". Because Israel had compromised their position as God's people, there was a need for Haggai to deliver the word of the Lord to the people of Israel. They had become disobedient and indifferent to God's word, and Haggai's warning was given to the Jews who returned to the promised land, following their 70-year long exile in Babylon, because they had neglected to rebuild the Temple of the Lord. Cyrus the great had issued a decree to rebuild the city of Jerusalem and the Holy Sanctuary some years before, but the half-hearted attempts of the neglectful returnees had left the House of the Lord unfinished and in utter disarray. The Jew may have returned in their land, built their panelled houses and planted crops, but they were incapable of keeping the Mosaic Law because they had no Temple in which to worship the Lord and no Alter on which to offer sacrifices to Him, as the Law commanded. The emperors... Cyrus the great, Cambyses and Bardiya had all come and gone, and king Darius the great was halfway through his second-year on the Persian throne, before the Lord called Haggai the prophet to reprimand Zerubbabel the son of Shealtiel, who was governor of Judah, and Joshua the son of Jehozadak, who was Israel's high priest. Haggai warned them of the severe consequences that would befall the people of Israel if they continued to ignore the rebuilding of the Temple. He reproved them for their lack of discipline and indifference, with the challenge, "Now therefore, thus says the LORD of hosts, "Consider your ways! For many years, both the leaders and the people had been easing their conscience by saying... "The time has not come, for the house of the LORD to be rebuilt", but Haggai's sharply rebuked Zerubbabel and Jehozadak with the words.. "Consider your ways!" and warned of the need to act quickly or there would be increasingly serious consequences for the nation. 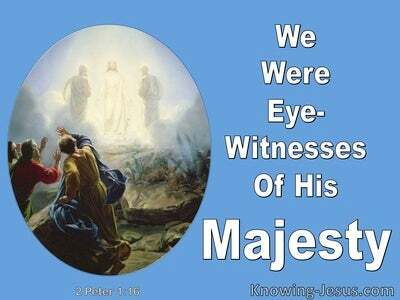 Without the Temple the people could not fulfil the requirement of the Law and without obeying the Law - the Lord could not bless them. The warning to Israel came to Zerubbabel the governor and Joshua the high priest and scolded them... "Consider your ways! You have sown much, but harvest little; you eat, but there is not enough to be satisfied; you drink, but there is not enough to become drunk; you put on clothing, but no one is warm enough; and he who earns, earns wages to put into a purse with holes." God could not bless His people with bountiful crops; healthy livestock and prosperity because they were not fulfilling the Law given to Israel and the rebuke that came through Haggai was a call from God, to wake-up from their indifference and fulfil the righteous requirements of God's Law. In the Church age we are not called to keep the Mosaic Law, nor are we instructed to build the Temple of God in Jerusalem or offer sacrifices on an Alter, to gain His approval and receive His blessing, but all the things that happened to Israel are to be used as examples to us.. lest we fall into the same attitude of indifference. As Christ's body we are living stones that are being built into the living Temple of God, and each stone is necessary if the structure is to be completed... and each one needs to be fashioned and hewn into the person God wants us to be. Should we not consider our ways to see if we are walking in spirit and truth and living in unity with one another as God requires? 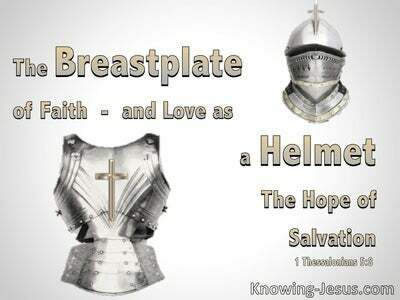 Should we not be diligent in trusting His word; carry out the good work that God had planned for us to do and seek to be conformed; fashioned; hewn and made into the image and likeness of the Lord Jesus Christ? The neglect that Israel demonstrated by ignoring the rebuilding of God's House should cause us to consider if we are paying more attention to our own needs and necessities, rather that putting God needs first in our life, and paying attention to the good work that God has called each one of us to do for His praise and glory. The disobedience, indifference and compromise that is displayed in the attitude of Israel, when they allowed many years to pass before addressing important spiritual issues.. such as worshipping God and carrying out the righteous requirement of their Mosaic Law, is something we should also consider... for spiritual maturity and growing in grace can only occur when God is given His rightful place in our lives and we are ready to do His will... in the words we say and the things we do... as we obey His word and do not neglect to do the things He has called us to do. Heavenly Father, thank You for the book of Haggai and the lessons we can learn from Israel's disobedience, indifference and compromise, when they failed to carry out the work You had prepared for them to do... in the rebuilding of the Temple. Thank You for the work You have prepared for me to do in my life and I pray that I would be obedient to Your call, diligent to carry out Your will and ready and willing to do only those things that honour Your name. Help me to walk in spirit and truth; become mature in the faith and work the works of God... according to Your word. Teach me all that You would have me to learn as I study the Scriptures... and keep me ever ready to put You first in my life, for Your greater praise and glory. 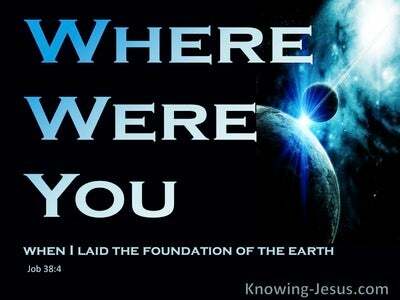 This I ask in Jesus' name and for His honour. AMEN.